EUGENE, Ore. (CN) — Habitat of the Northern spotted owl continues to be imperiled by logging in Oregon because of the U.S. Fish and Wildlife Service’s inaction, an environmental group claims in a federal complaint. The Northern spotted owl has been listed as threatened under the Endangered Species Act since 1990. Two years later, Fish and Wildlife designated almost 6.9 million acres of critical habitat for the owl, which nests in old-growth forests threatened by logging. Northern spotted owls have been in the news, and in courts, for decades, because they cannot survive without old-growth forest, whose tremendous trees are prime targets for logging companies. In its June 2 lawsuit, Friends of Animals takes issue with Fish and Wildlife’s Enhancement of Survival Permits, which allow timber companies and the Oregon Department of Forestry to kill or harass Northern spotted owls. The permits are issued through safe harbor agreements, which require property owners to help increase a threatened species’ population, or enhance or restore its habitat. Friends of Animals says Fish and Wildlife should have supplemented an environmental impact statement before issuing the permits. The permits and safe harbor agreements were issued to the Roseburg Resources Company, Oxbow Timber I LLC, Weyerhaeuser and the Oregon Department of Forestry — none of them parties to the complaint. As part of the strategy to protect the spotted owl, Fish and Wildlife allowed a controversial experiment to kill barred owls (pictured) that took over the spotted owl’s habitat. The decision was based on evidence that the barred owls, which are not native to the Pacific Northwest, displace spotted owls from their habitat. That experiment, which resulted in almost 450 barred owls being killed, has not been shown to be an effective long-term conservation strategy, according to the complaint. 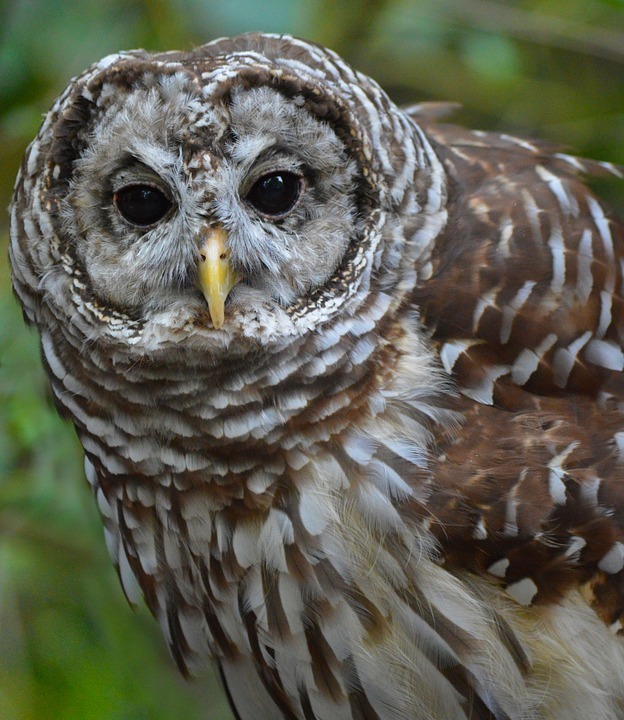 “As its name suggests, the barred owl removal experiment is just that – an experiment,” the complaint states. “The stated purpose of the barred owl removal experiment is to implement experimental research for the conservation of the Northern spotted owl by gathering information” on its effects. Friends of Animals seeks declaratory and injunctive relief under the National Environmental Policy Act and the Endangered Species Act. It is represented by David Bahr in Eugene. Fish and Wildlife did not respond to requests for comment. National Public Radio in 2014 highlighted the controversial decision to allow killing of barred owls in the Pacific Northwest. Lowell Diller, a biologist for the Green Diamond timber company, expressed his reluctance to shoot barred owls.